An experience at Madame Brussels is like tumbling down the rabbit hole and discovering a Mad Hatter’s afternoon tea party. Named after the Madame herself, a 19th century city brothel owner, the bar is equipped with wicker sun lounges, garden chaises, vintage inspired antiquities and lots of pastel. The inner city bar is housed on the third floor of an unassuming building in Bourke Street (right next to Spaghetti Tree). 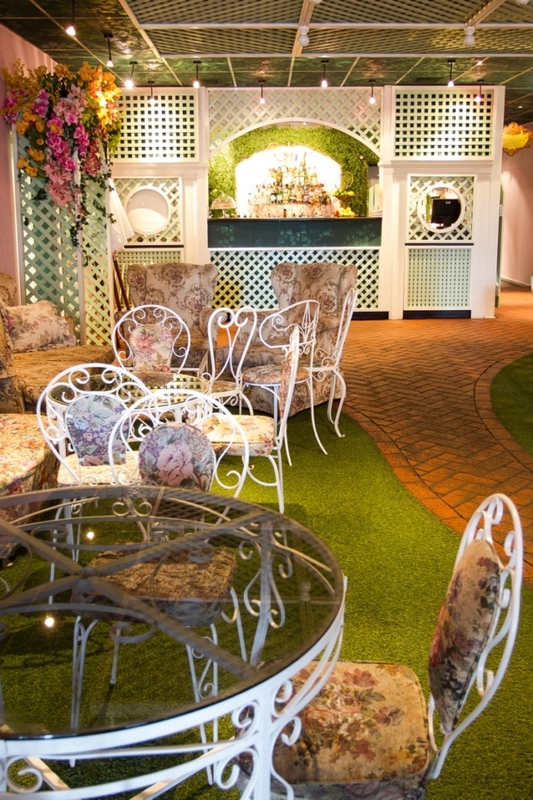 Venture upstairs and discover their kitschy ‘garden party’ bar decked out with white picket fences and astro turf. But the real fun starts on their huge outdoor terrace – a perfect retreat to soak up the sunshine in the summer months. Rest assured, Madame Brussels also has your winter needs covered. If you ask nicely, you may be treated to a cosy hot water bottle and fluffy blanket to snuggle into while enjoying a cup of warm spiced rum – guaranteed to warm you up from the inside out. The preppy waiters are kitted out with tennis whites, crisp polos and pleated skirts, adding to the bar’s fun and quirky atmosphere. Be prepared to queue at the bar at peak times, when its busy the service can become a little haphazard. 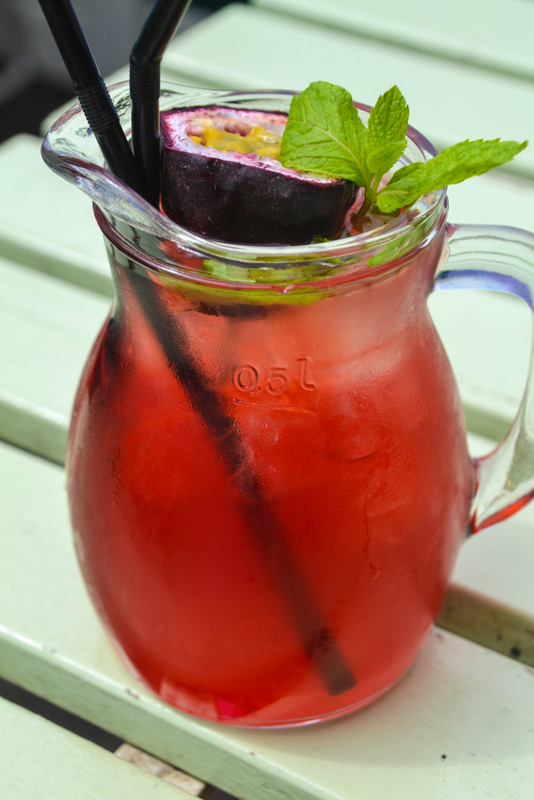 The drinks menu is superb, boasting house specialties like jugs of Pimm’s, punches and modern twists on traditional cocktails. All cocktails are available individually ($19) or to be shared ($35). 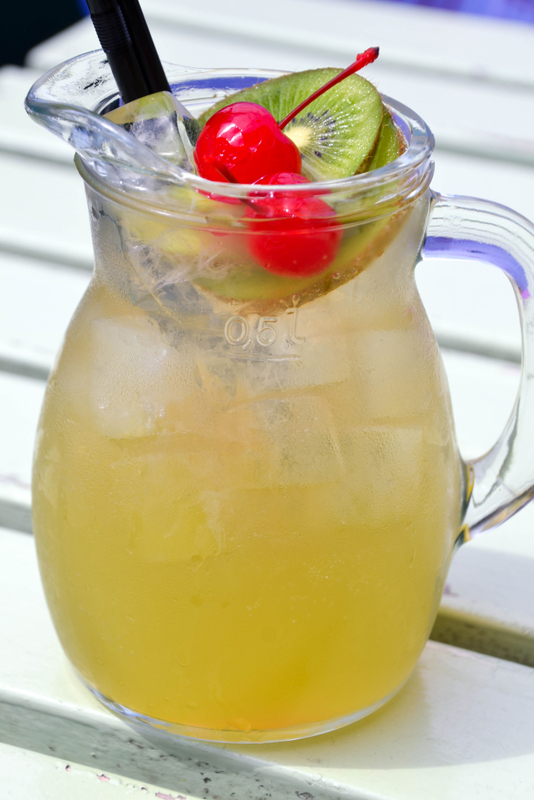 The Ginge Minge is a refreshingly cool concoction of ginger beer, pear cider, vodka and exotic mix of ginger and pear liqueurs. Vodka connoisseurs can also upgrade to Grey Goose vodka for an additional $5. Another crowd pleaser is the Veiled Maiden, which provides a taste bud tantalising mix of fruity flavours infusing pomegranate, cranberry and passionfruit liqueurs. Madame Brussels also offer a range of bar snacks to soak up your cocktails. The menu may not be extensive but has some good options. 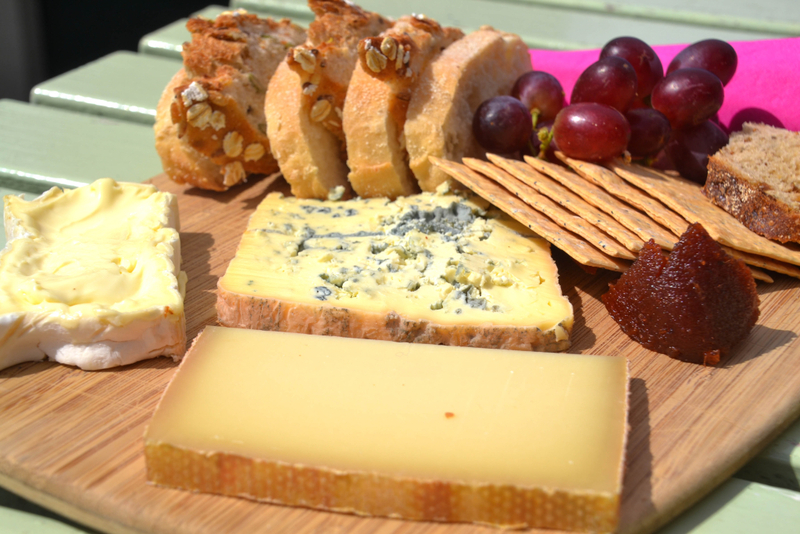 Expect freshly cut finger sandwiches, sausage rolls and a rather fancy French cheese platter. The cheese platter ($24 for two people plus) was laden with a sumptuous selection of French cheese, quince paste, pears and grapes paired with Lavosh and fresh baguettes The Saint Agur blue cheese was irresistibly rich and creamy, melting seamlessly into the crispy lavosh. While the Comte Gruyere, characterised by its pale yellow colour and hard texture, provided a nice flavoural contrast with strong, slightly sweet notes. The bloomy white rind of the Brie Nangis may not be to everyone’s taste buds but had a lovely soft inner paste. 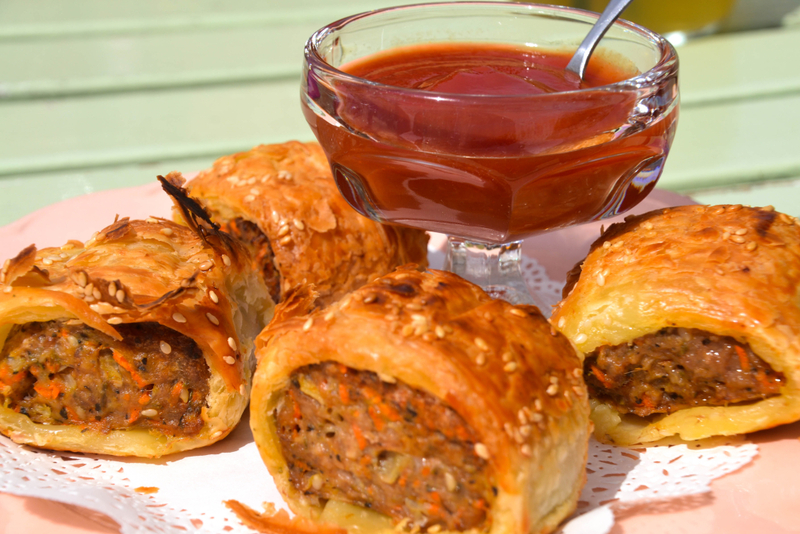 The cutely named Mother of Pearls’ sausage rolls ($11 for four) were served piping hot from the oven. The meat had a nice texture and was coated generously with a buttery, flaky pastry. The ménage a trios ($9) is a must for sweet tooths, showcasing a selection of three mini desserts. A baby lemon meringue pie, filled with zesty lemon curd, is crowned with a light and fluffy meringue. 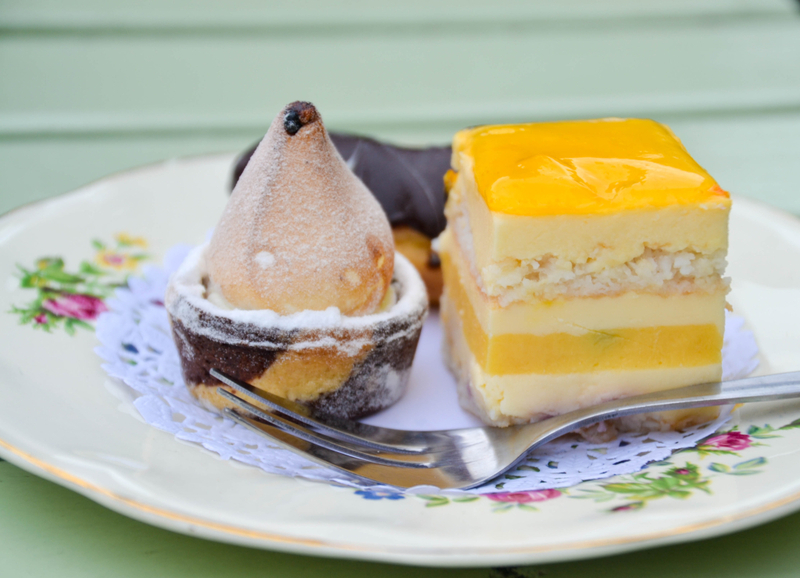 Coconut and passionfruit combine beautifuly to create a sumptuous lemon slice while the chocolate éclair’s pastry simply melts in your mouth. 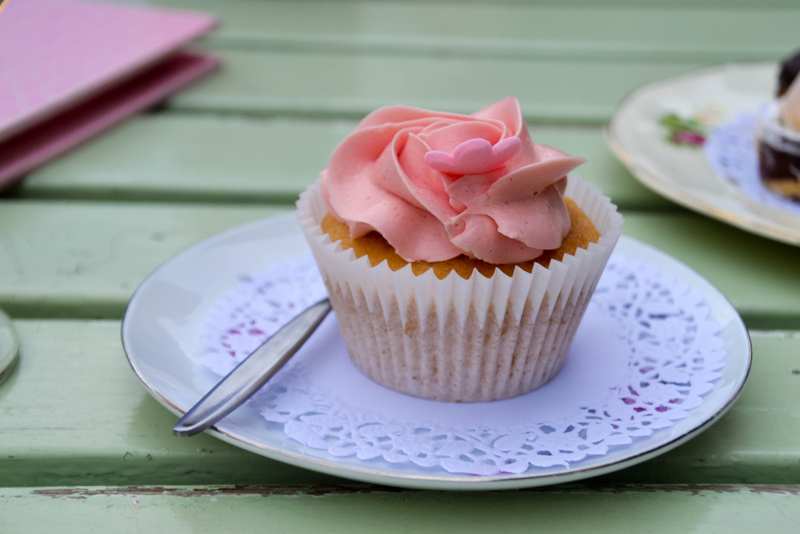 A trip to Madame Brussels isn’t complete without trying one of their luscious lemon sponge cupcakes ($5 each). The lemon infused sponge is light as a feather and topped generously with pink butter cream frosting. The fondue ($18) is also a popular option in winter, the smooth 70% dark chocolate being the star of the dish accompanied by fresh cream, marshmallows and strawberries. Madame Brussels continues to excite and surprise with its fun and energetic atmosphere. 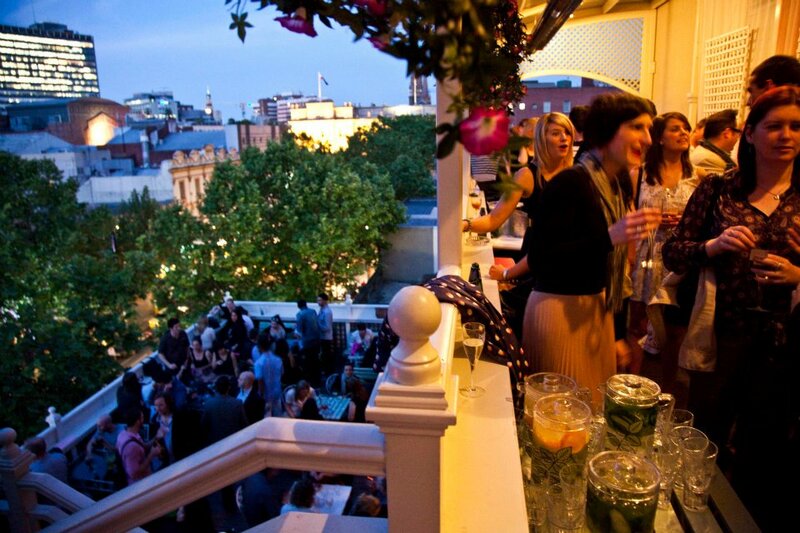 You’ll be hard pressed to find a prettier bar anywhere else in Melbourne. Just don’t expect a long gourmet menu or attentive service. 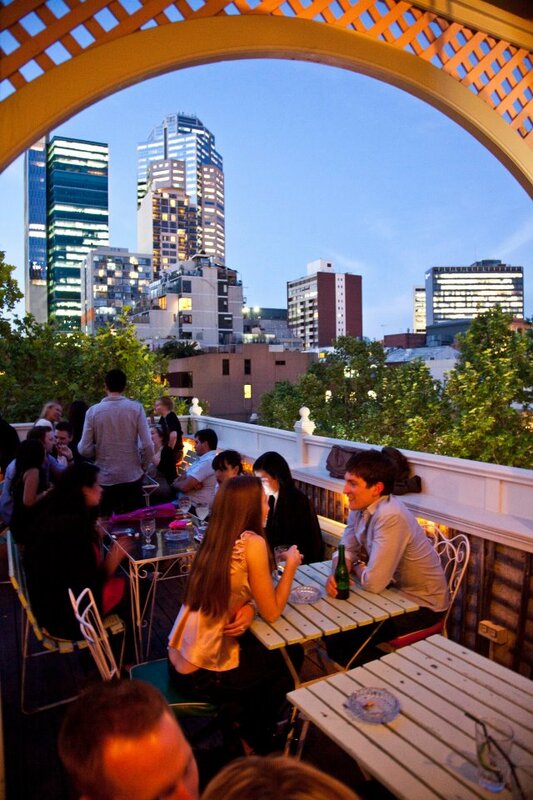 Make sure you get there early on Friday nights and weekends to grab a good seat and take advantage of the incredible city views over Melbourne. Garden parties don’t get much better than this…. Wonder if they still do the rose punch? That was perfect for the setting! Love the waiters’ outfits too. So preppy.